Frankly, I hardly even care how these perform, because look at HOW PRETTY THEY ARE! 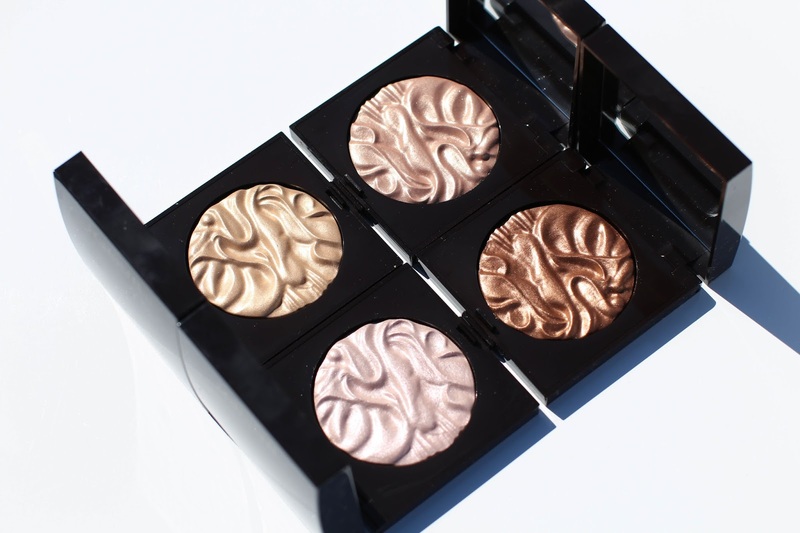 Ok, I do care about how they wear but it's easy to get distracted by the pattern and shiny finish of these Laura Mercier Face Illuminator Powders. 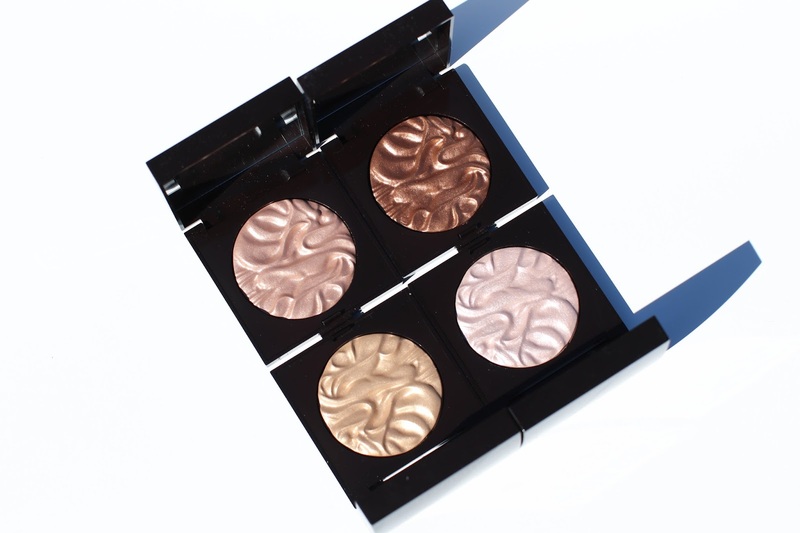 Beware though because these are not for the subtle highlight fans - each gives a strong shimmer and major glow. The two that work the best for my pale skin are Addiction and Indiscretion. Each are pale enough to give a highlight but the golden undertone makes it more appealing and warm on the skin. Devotion is icy with a silver undertone that is beautiful on my skin, but would only be suitable for evening. For those that are extremely fair with pink undertones, I can imagine this would look beautiful - almost ice princess-like. Basically it is a highlighter for Elsa from Frozen. 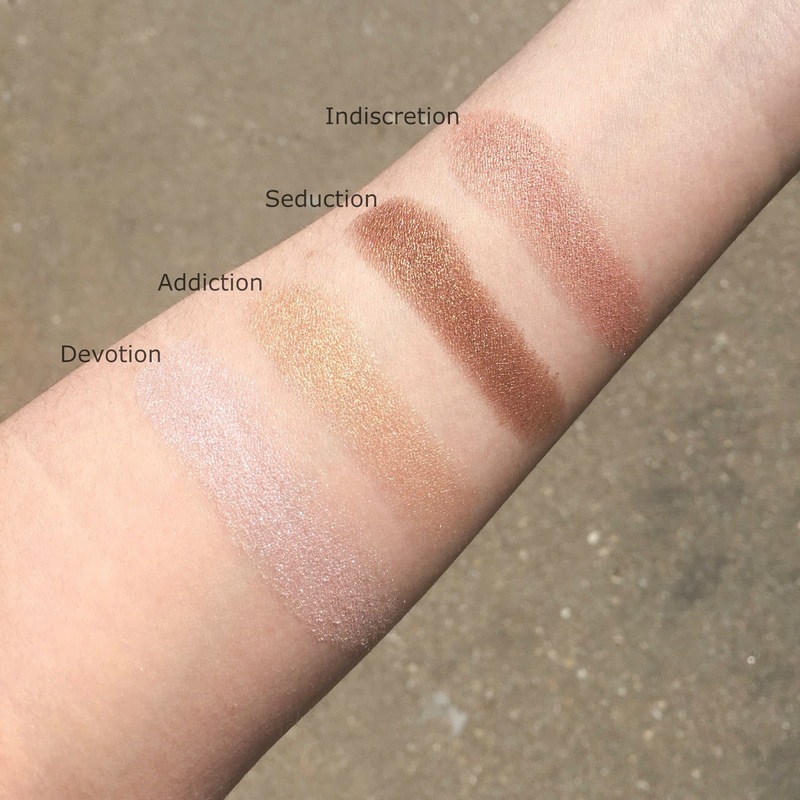 LOL Seduction is the one I was most drawn to simply because I love a beautiful bronze, but it is wayyyyy too dark to be a highlight on me. That being said, I have been wearing it as a lid color and adore how it looks. For those with deeper skin tones, I can see this giving the cheeks a gorgeous sheen. It may not be a strong highlight, but it will make the face glow. The pigmentation is strong on Addiction, Seduction and Indiscretion with minimal chunkiness or fall out, however Devotion was the only exception. I needed to swipe 5-6 times to get the below swatch, however with a brush it applies a lot smoother on the skin. It is still chunkier than the other shades, but on the skin it gives the same finish. For those with oily skin, I would make sure that you are wearing a matte foundation (this one I adore) or base (I wear this SPF as a primer because it's mattifying and amazing) because any additional oil will immediately be enhanced by these powders. I made sure to keep it just on my cheekbones away from the center of my face or cheeks because I can turn into an instant discoball. 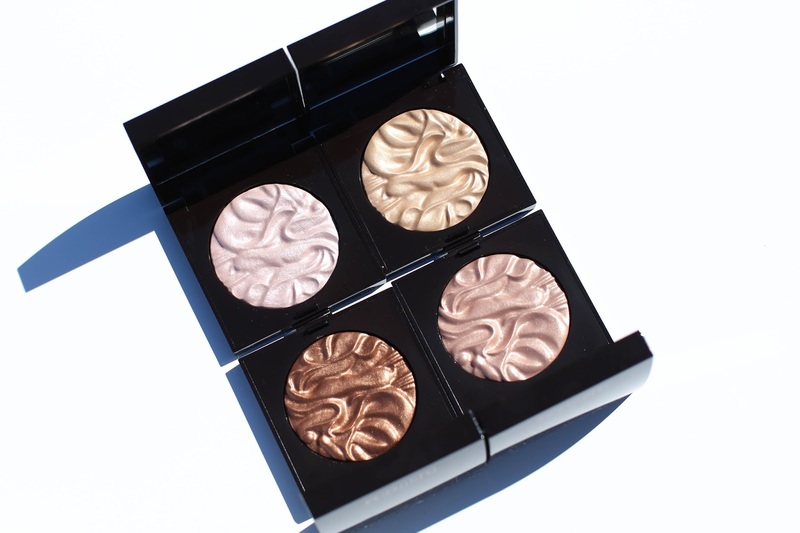 Though these are some of the boldest highlighters I have ever tried, I think the formula is also one of the best. The shimmer looks like a cream product when on the skin, and doesn't have a powdery finish. If you are a highlighter junky, I think this is a must have to add to your collection. Maybe not all four, but definitely one, perhaps even two.